John Longbrake, an accomplished leader in higher education communications, has been appointed Vice President for Communications after a national search. His appointment is effective Aug. 24. Since 2012, Longbrake has served as Associate Vice Chancellor for Public Affairs and Communications at the University of California, Santa Barbara. He also has held communications leadership roles at Harvard University, Yale University and the U.S. Treasury Department. At the University of Chicago, Longbrake will lead the development of strategic communications in support of academic programs, University initiatives and institutional priorities. This will include collaboration on communications with units across the University, and direct oversight of the Office of Communications. Longbrake said he is looking forward to leading the University’s communications at a time of academic opportunity and institutional momentum. At UC Santa Barbara, Longbrake served as chief communications officer, with oversight of a university-wide communications structure including media relations, emergency communications, branding and social media. He developed and implemented the university’s first digital communications strategy. 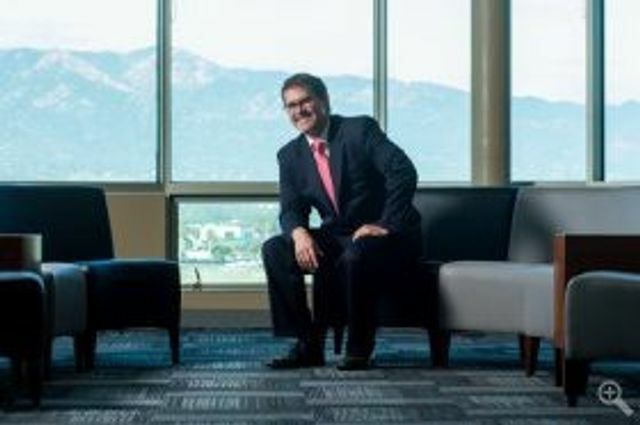 Longbrake moved to UC Santa Barbara from Harvard, where he was Assistant Vice President for Communications, managing the university’s central communications functions. In more than seven years at Harvard, he coordinated communications about major university initiatives and served as a primary spokesperson for university leadership. He came to Harvard from Yale, where he was Assistant Director of Public Affairs and Assistant Secretary for International Affairs. Prior to his time at Yale, Longbrake worked in Washington, D.C., in various communications and policy roles, including serving as Deputy Director of Public Affairs at the U.S. Treasury, where he coordinated communications for senior Treasury officials. He also worked in the Presidential Advisory Committee on Gulf War Veterans’ Illnesses and the U.S. Congress’ Office of Technology Assessment. “John emerged from a pool of impressive candidates as the one most clearly able to further develop our communication capabilities,” said David Fithian, Executive Vice President, who led the search. “His deep and broad experience, combined with his demonstrated good judgment, collegiality, and ability to align with institutional needs and values will clearly serve us well." Longbrake graduated from Vassar College with a bachelor’s degree in sociology. He will move to Chicago this summer with his wife and their three sons. Longbrake will succeed Julie Peterson, who left UChicago at the end of June to form a private consultancy business, after eight years at the University. The University of Chicago is a private research university in Chicago, Illinois, and is consistently considered by numerous independent university rankings to be one of the world's most prestigious institutions of higher learning. The university consists of The College, various graduate programs, interdisciplinary committees organized into four divisions, six professional schools, and a school of continuing education. Beyond the arts and sciences, Chicago is also well known for its professional schools, which include the Pritzker School of Medicine, the Booth School of Business, the Law School, the Harris School of Public Policy Studies, and the Divinity School. The university currently enrolls approximately 5,000 students in the College and around 15,000 students overall.